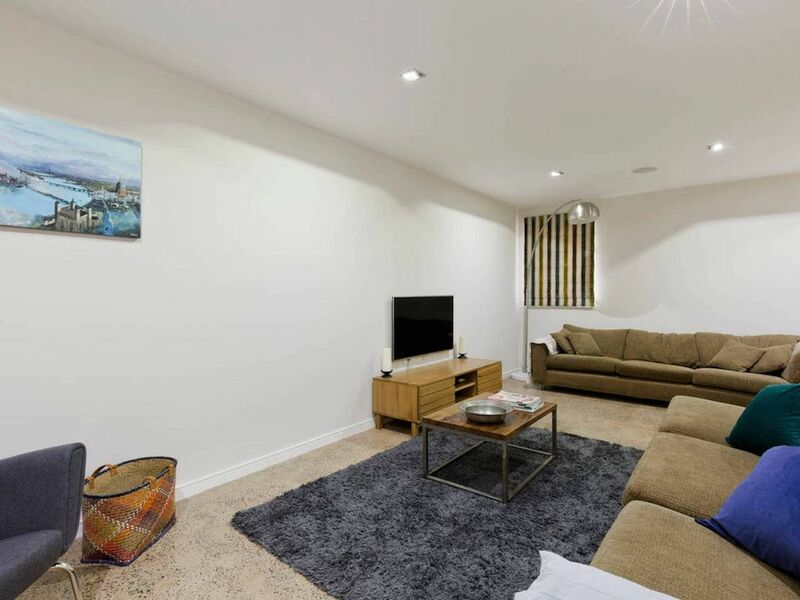 Recently built to high specification, this 3 bedroom house is ideally located in Barnes, West London less than a mile from Richmond Park and about 20 minutes from Central London and 20 minutes from Heathrow airport. Happy to meet guests and show them round the house. Someone will always be available to help throughout your stay. The house is in a lovely location. Less than 1 mile from Richmond Park, very close to Barnes High Street and the River Thames. The house is 25 minute train ride away from Waterloo, 20 minutes away from the West End by taxi, and 22 minutes away from Heathrow Airport by car. Train: Mortlake Train station is an 6 minute walk away, and then Waterloo is about 20 minutes on the train. Bus: There is a 209 bus at the bottom of the road which goes to Hammersmith Bus Station, thus allowing easy access to bus routes all over London. Taxi: There are always plenty of Uber drivers in the area and it will take 15-40 minutes to get to Central London depending on the traffic. If you'd like to use a traditional black cab, the Hailo app should allow you to book one. Car: Central London is about 15-40 minutes away, but public transport will often be quicker if the traffic is bad (I.e. During rush hour). Parking can also be difficult and there is a Congestion Charge for driving into Central London at peak times on weekdays. Groceries: Sainsbury's local is about a 4 minute walk away. For bigger shopping trips Waitrose East Sheen is about 5 minutes away by car. Food and drink: Rick Stein's Barnes restaurant is a 4 minute walk away, and there are two excellent pubs (The White Heart and The Treehouse) about 5 minutes away. Shops: Barnes high street is about a 10 minute walk away, and it has a number of excellent small independent shops. Oxford Street is a 25 minute taxi ride away. Great communication and location, beautifully clean and functional house. Highly recommend! We would stay here anytime. We stayed at this property for approximately 6 weeks (except weekends). It was always spotlessly clean on arrival. Lovely crisp sheets. Comfortable beds. Nice touch with a bottle of wine, craft beers, biscuits, bread and eggs in the fridge. Convenient location, short walk to the river and lovely pub (Ye White Hart). Would recommend to anyone. We loved our stay at Andrew's place. The house is very nice and spacious with great amenities (soaps/shampoos/washer/dryer/detergent etc) and the location is convenient - close to bus and train stations. Andrew was a thoughtful and responsive and accommodating host. Would definitely recommend!